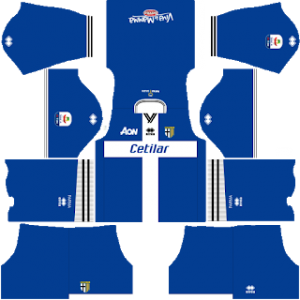 In this article, you can find and download Dream League Soccer (DLS) Parma Kits and Logos 2018, 2019 Edition with URLs. Parma is a professional Italian football club. The club was founded in December 1913. 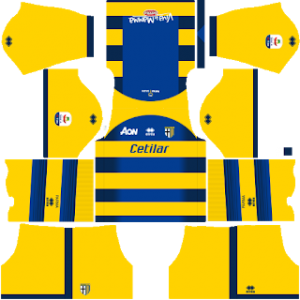 The team competes in the Serie A (the highest division of Italian football) Parma is commonly known by the name of Gialloblù. Parma plays its home matches at the Stadio Ennio Tardini stadium located in Parma, Italy. It has a capacity of 22,359 visitors to accommodate for a football match. Roberto D’Aversa is the current head coach of the first team and is managing quite well. Parma was promoted to the Seria A last year. They managed to grab a spot in the top 3 of Serie B to get promoted to the Serie A. We all know, Dream League Soccer is an awesome game, they are featuring exclusive players in their latest update. You can even customize your team’s kits and logo. 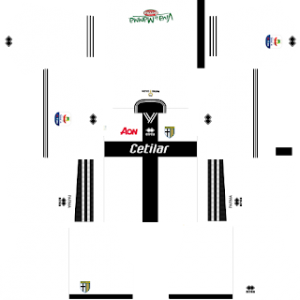 We are going to provide Dream League Soccer kits and logos in this blog so that you can try different kits. You can download it in the size of [512×512] from the provided URLs. You can use this kits in DLS by clicking the URL to download the Parma home kit 2018-2019. You can use this kits in DLS by clicking the URL to download the Parma away kit 2018-2019. You can use this kits in DLS by clicking the URL to download the Parma Goalkeeper’s home kit 2018-2019. You can use this kits in DLS by clicking the URL to download the Parma Goalkeeper’s away kit 2018-2019. You can use this Logo in DLS by clicking the URL to download Parma Logo 2018 – 2019.